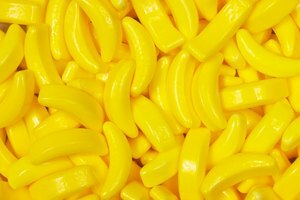 Although the original banana jingle from one of the major manufacturers in 1944 included the advice that you should not store bananas in the refrigerator, the current jingle, developed in 1999, dropped that suggestion. In fact, if you know the consequences of storing bananas in the refrigerator and have reasons for putting them there, your bananas will be fine for a few days. 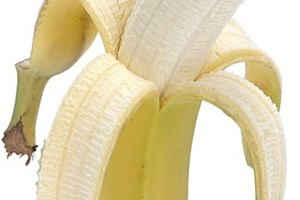 The cold temperatures in your refrigerator slow down the ripening process for bananas. 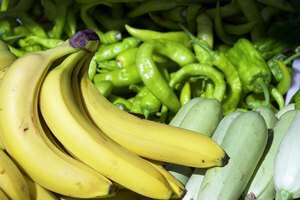 If the bananas are green and unripe, they will not ripen any further and probably won't ripen even if you return them to room temperature. The banana skin will also darken, but that won't affect the inside if you leave the bananas refrigerated for just two or three days. Ripe bananas stay ripe for a few days if they have already ripened at room temperature. The Ohio State University Extension office recommends that bananas, like avocados, grapefruit and mangoes, ripen best at temperatures from 55 to 60 degrees Fahrenheit. 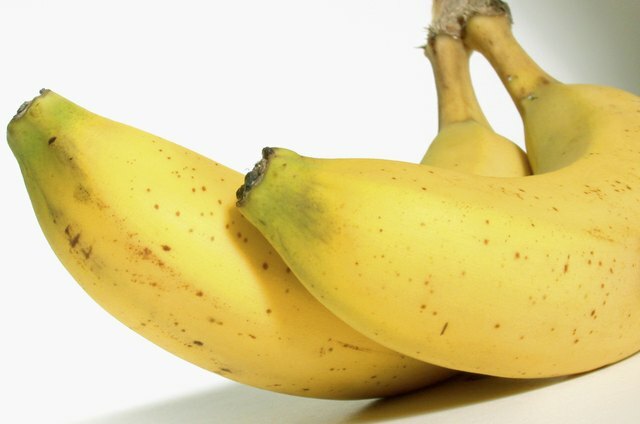 If you've let your bananas ripen at room temperature until they are ripe -- a state when the skins turn from green to yellow with brown flecks -- they will stay ripe if you then place them in the refrigerator to use within a day or two. Because bananas grow in tropical climates, they never adapted strong skin cells to protect the fruit from cold temperatures. As a result of their natural structure, the cell walls break apart easily in the cold temperatures of your refrigerator. Within four or five days, the digestive enzymes within the banana eat away the flesh and the bananas turn mushy with blackened skins; the process occurs even more rapidly when you place bananas in the freezer. If you put green bananas in the refrigerator in an attempt to keep them fresh, not only will they never ripen properly, but they will also not taste sweet. When bananas ripen, their natural starches break down and turn into sugars, making the fruit taste sweet with a distinctive, creamy banana flavor. Ripe bananas are best for eating out of your hand, but less ripe bananas work well blended into soups and left in chunks in curry and stew recipes.